The short-lived Clover Studio, after working on numerous Viewtiful Joe titles wanted to leave with a bang before it was finally dissolved. Ōkami and God Hand were released in 2006 and although both have had praise, it is the former which is remembered most, not only as a swansong for Clover but also for the PlayStation 2. 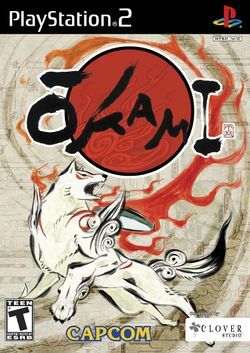 The game combines Japanese myths and legends to depict the story of how the wolf and sun goddess Amaterasu saved the lands from darkness. It features cel-shaded graphics and a gesture system which combine together to create a unique experience. It goes one step further with the Nintendo Wii which you can brush more easily and has an awe enhanced visual quality so you can appreciate the cel-shaded animation and the swelling Japanese orchestral music to appreciate this game. This page was last edited on 10 August 2018, at 04:53.